State-of-the-art multi-spectral simulation software, developed by Defence Science and Technology (DST), has been licensed to Adelaide SME Consilium Technology to be marketed globally as Infinite Studio. Minister for Defence, the Hon Christopher Pyne MP, today announced the signing of the licensing agreement for the technology which will support virtual and constructive simulation activities for Defence and civilian applications. 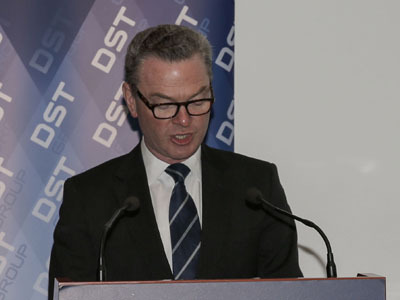 "This innovative, cutting-edge technology allows users to create real-time simulations of the world in the visible, infra-red and ultra-violet parts of the electromagnetic spectrum using affordable desktop computing hardware and modern gaming engines," Minister Pyne said. Infinite Studio builds on DST's multi-spectral visualisation system, VIRSuite, which represents over a decade of research and development. Consilium Technology has added significant new capability, performance and fidelity to take the technology to a wider range of markets and application domains. "When ground-breaking research by Defence is matched with industry know-how, we get great innovative outcomes and Infinite Studio is an example of this," Minister Pyne said. "This is a great outcome for Australian innovation, Defence and industry collaboration and jobs growth," Minister Pyne said. Infinite Studio was demonstrated during SCINDICATE 2018, Defence's science and technology open day for industry at the DST laboratories in Melbourne.